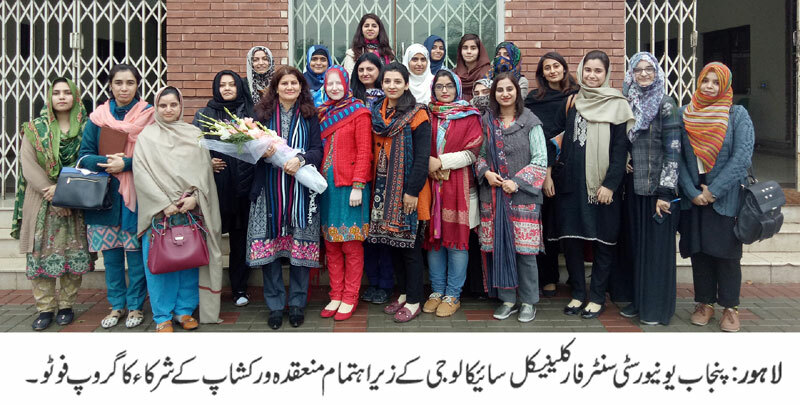 LAHORE: (Tuesday, January 22, 2019): Punjab University Centre for Clinical Psychology (CCP) has conducted a one day workshop on “Interpretative Phenomenological Analysis (IPA): Theoretical Underpinnings and Advanced Data Analysis”. CCP Director Dr. Saima Dawood welcomed and thanked the resource person Dr. Saima Ehsan, Assistant Professor, Department of Psychology, Foundation University, Islamabad for conducting an insightful workshop on introduction of IPA research. The theoretical background and underpinnings of IPA were elucidated clearly by the resource person. The MS, MS-SLP and PhD students participated in the workshop enthusiastically and acknowledged that it will help enhance their understanding about IPA. Overall, the workshop was very successful and appreciated by the students.